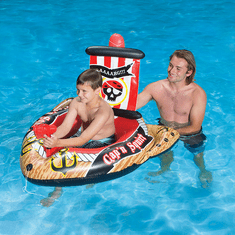 Kids ages 6+ will have fun sailing the high seas in the swimming pool or at the lake. 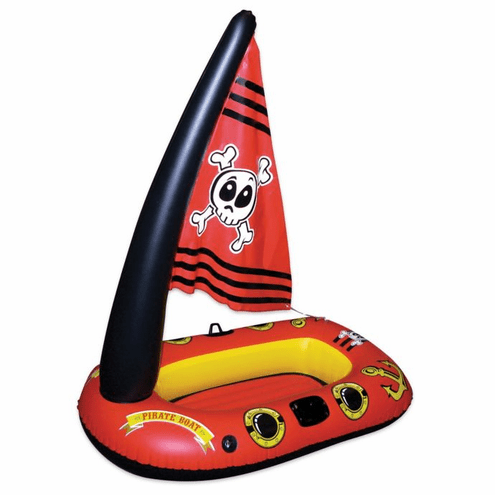 Bring the imagination out in youngsters with this inflatable 12.4 gauge vinyl constructed boat. Includes a tow rope and durable oar locks. The sail is supported by an inflatable mast.